Welcome! If you like L2 Interlude and you need some information on the game, then you came to the right web page! Here is the knowledge base Lineage 2 Interlude, which will be useful not only making the first steps in this game for beginners, but also for experienced players. 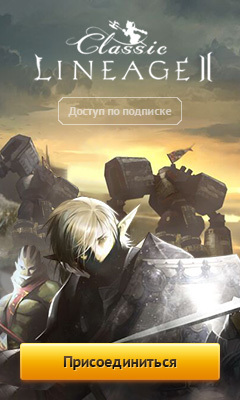 Lineage 2 - the game is not easy and exciting, so without information it is hardly possible to master it well. After all, in the game as many as thirty classes of characters typed, not taking into account the intermediate, each with his own skills and specifics. Is in the game and crafting system with a lot of recipes, even fishing is! On what bosses go, what monsters better grind at its level? Knowledge of all this can not be kept in your head, and there's no need to do it, because you our knowledge portal will help! Список NPC, including event characters. In all that I have achieved in life, this clear library of game knowledge helped me. Without knowledge nowhere anywhere - even a normal set can not be collected. Start playing Lineage 2 on the official server.